We offer a variety of boarding options with excellent pastures at a great rate. Boarding includes access to all trails, a wash pit and much more. We also offer lay overs for the travelers. We are convenient 3 miles off US 64. 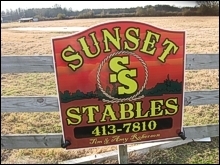 We Offer Pasture Boarding & Full Boarding!